Is there any profession more important to the future of Texas than teaching? “For many kids, teachers are the only person for them,” she said. Indeed, teachers take on an incredible responsibility with extremely high stakes; as the education of our youth goes, so goes the future of Texas. 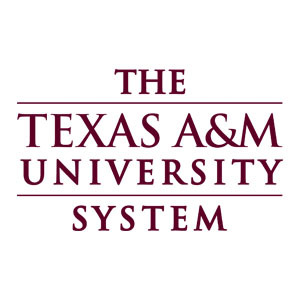 And as a system composed of universities that prepare and educate a third of Texas’ future teachers, the regents, chancellor, administrators and faculty of the Texas A&M University System feel the weight of this responsibility. We produce more teachers than any other university system in Texas. Just as we prepare health care professionals to improve and even save Texans’ lives, we have a duty to ensure the teachers we send into Texas classrooms are exceptionally well prepared. Because of this, as a system, we have made educator preparation a top priority with greater visibility and accountability. We have established an initiative called “LearningU” that aligns our leaders in education from all 11 universities to improve educator preparation in lockstep. Today, the only constant is change; therefore, we must always evolve the way we prepare and support our teachers. As part of LearningU, the deans of our colleges of education have established goals to aggressively market the teaching profession to our best students, improve our preparation of future teachers and support Texas teachers in the classroom. For instance, the Texas Education Agency has determined that the state has a shortage of teachers in mathematics, as well as shortages in science, computer science and other areas. With so much of the state’s future workforce needs lying in science, technology, engineering and math — commonly referred to as “STEM” — we cannot let this gap go unaddressed. It is impossible to have prepared students without prepared teachers. We are determined to act. Through LearningU, and as an example of our commitment, we are excited to announce that by May 2017, all Early Childhood through 6th grade (EC-6) teacher candidates graduating from a Texas A&M System institution will also have an EC-6 Math endorsement. The endorsement is a 40-hour training program that teacher candidates at Texas A&M System institutions will be required to complete. This will give elementary school teachers from the Texas A&M System additional skills in teaching math in elementary school, setting the foundation for student success in mathematics going forward. This is just beginning. Optional endorsements in special education, science, social studies and virtual instruction will also be available. The list of required and optional endorsements could grow as the deans of our universities’ colleges of education meet consistently with area superintendents to determine how we can improve our teacher preparation programs to better meet their needs to better serve their students. In addition to taking steps to ensure that our own graduates are ready to serve as high-quality educators, the Texas A&M System is committed to supporting all teachers throughout the state. That is why we continue to maintain our T-CERT (TExES Certification Exam Review for Teachers) and PACT (Performance-based Academic Coaching Teams) websites, which are delivered at no charge for teachers and teacher candidates. T-CERT, which helps teacher candidates, novice teachers and experienced teachers prepare for and successfully pass the state’s TExES exams is used by more than 86,000 participants annually. PACT, which provides support and community for educators at all levels, was used by more than 18,000 participants last year. To get a better sense of what the Texas A&M System is doing to help ensure a prosperous future for Texas through evolving, effective teacher preparation and continuing support to teachers, we invite you to peruse the attached handout. We believe that no profession is more important to the continued success of Texas than teaching. Teachers are inspirers and are the heart and soul of student success. As they confront daily challenges, it is important that they know they are not alone. Through our LearningU initiative, the Texas A&M University System is taking responsibility and doubling down on our commitment to support the in-service teachers of today and prepare the teachers of tomorrow. Elaine Mendoza is vice chairman of The Texas A&M University System Board of Regents.